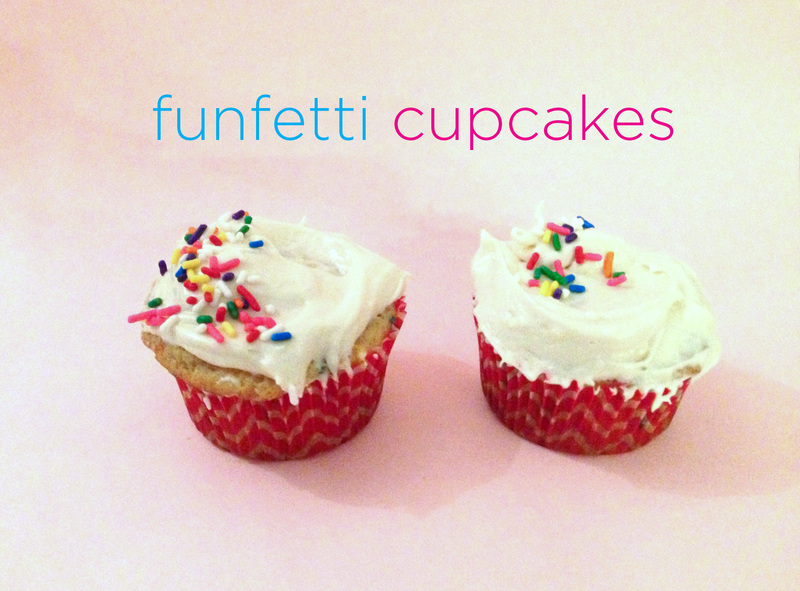 Nothing says happy birthday like funfetti cupcakes, am I right?? Tomorrow is my birthday, so I thought this recipe was fitting. 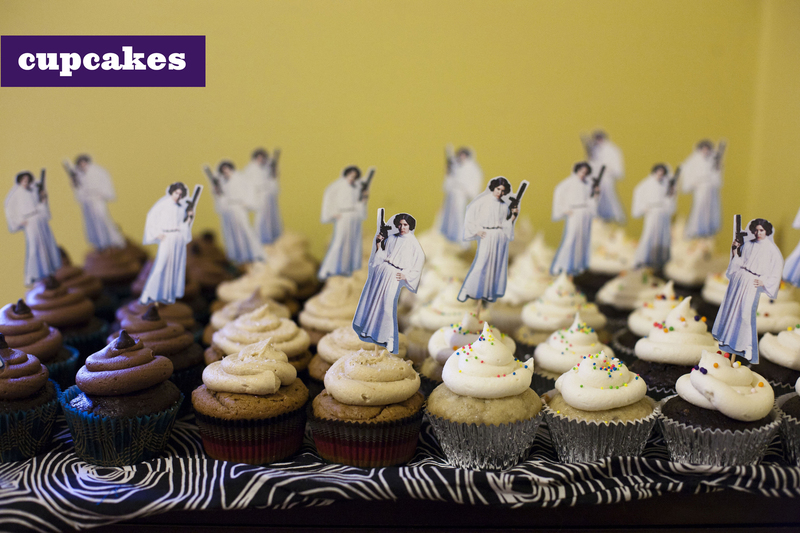 I actually made these for my co workers birthday last week and they were a hit. These just might be the most perfect vegan vanilla cake! you can find the recipe over here, these did NOT dissapoint! I topped mine with vegan cream cheese frosting because its the best! Beat all ingredients with a mixer for a few minutes until light and fluffy. Pumpkin. Molasses. Cream cheese frosting. I have died and went to autumn heaven. 1. Whisk together the flour, baking soda, salt, and pumpkin pie spice. 2. Working with a stand mixer, or a hand mixer in a large bowl, beat the earth balance on medium speed until smooth and creamy. Add the brown sugar, molasses, and pumpkin puree and beat for 2 minutes, scraping down the sides of the bowl as needed. Add the egg replacer and beat for 1 minute more. 3. Reduce the mixer speed to low and add the dry ingredients, mixing until the flour and spices disappear. If flour remains in the bottom of the bowl, mix the last of the dry ingredients by hand to avoid over beating. You will have a very soft dough. 5. Preheat oven to 350°F. Line 2 baking sheets with parchment paper. 6. Put the sugar in a small bowl. Working with one packet of dough at a time, divide it into 24 pieces (or use a small cookie scoop), and roll each piece into a ball. Roll the balls in the sugar, then place dough balls on prepared cookie sheets and use a the bottom of a glass to ever-so-gently press down on the cookies. Do not over crowd. 7. Bake the cookies one sheet at a time for 7-9 minutes, or until the top feels set to the touch. Remove baking sheets from the oven. Let cookies cool 5 minutes on the sheets before transferring them to a cooling rack. 8. Repeat with second batch of dough. 1. In a medium bowl with an electric mixer, combine tofutti and earth balance and confectioners’ sugar. Mix on low speed until the sugar is incorporated, increase speed to medium-high and mix for about one minute. Add in vanilla and continue mixing on low speed until vanilla in fully incorporated. 2. To assemble the cookies, pipe or spread the filling on the bottom of one cookie. Top with another cookie and press together gently to create a sandwich cookie. Repeat with remaining cookies. Ginger cookies. yum. One of my favorites for sure, and my love of ginger -baked goods has definitely grown this winter. 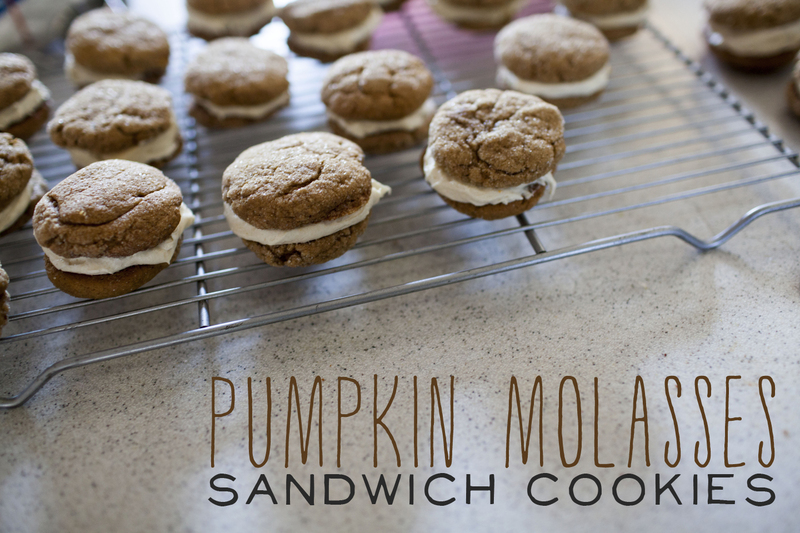 So when I saw a recipe that turned them into sandwich cookies I knew I was game. 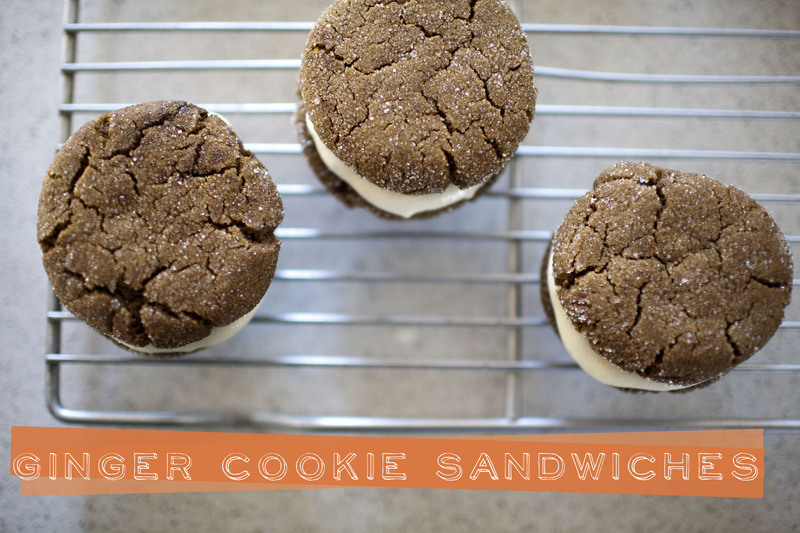 Two cookies sandwiched between orange cream cheese frosting; sign me up! The recipe is adapted from here .These were easily made vegan by subbing earth balance for the butter, and using an egg replacer for the egg. I prefer a cream cheese frosting, so I went that route. 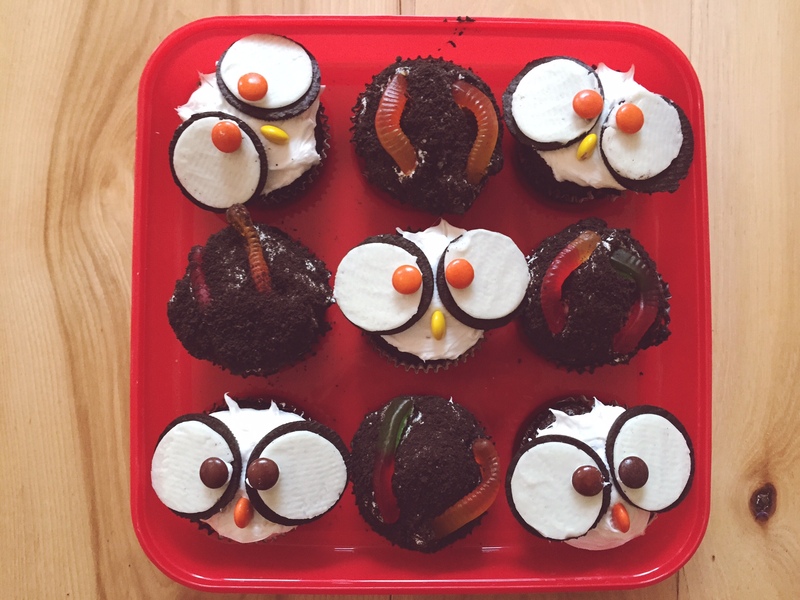 Now, to not eat this whole batch….These did NOT dissapoint. Even the dog wanted in on the action. Found him on top of the kitchen table (all four legs, standing ON TOP of the kitchen table) helping himself to one…. Happy birthday to my husband today! 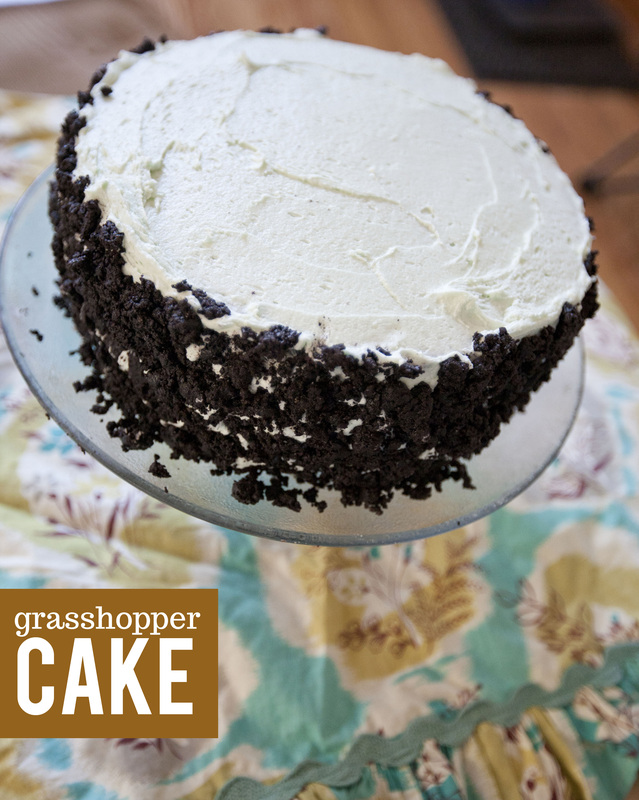 He requested a grasshopper cake, so here it is! I used the chocolate cake recipe again, from vegan cupcakes take over the world; this time making it two tiers. Then I made a double batch of the cream cheese frosting from the same book, adding 1 T of peppermint extract and some green food coloring. I put a bunch of trader joe-joes in the vitamix and made cookie crumbs and put them on the edges. Can’t wait to dig in! Who wants to help us eat this all? Oh my goodness. This cake. All I ever want is this cake. 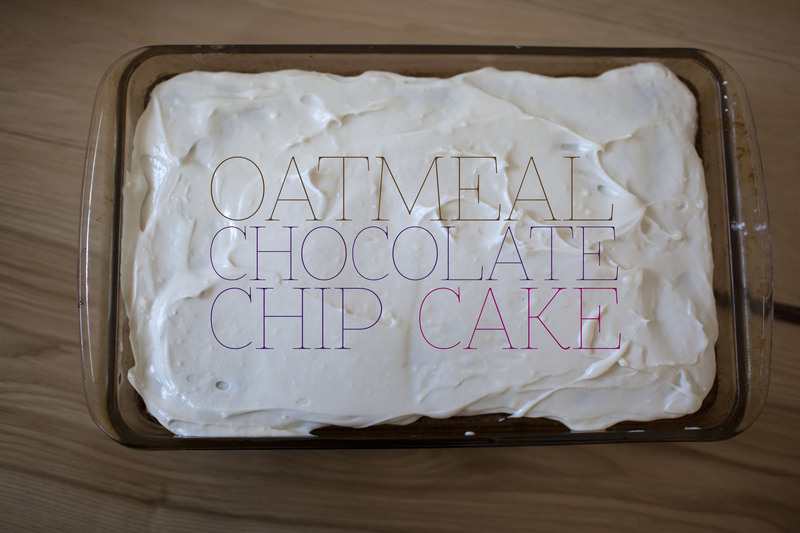 Its like an oatmeal creme pie – in cake form. Do I need to say anymore. The original recipe for this cake came from Tracy, over at shutterbean.com, so I knew it was going to be a good one. I took a stab at veganizing it, and it turned out fantastic! 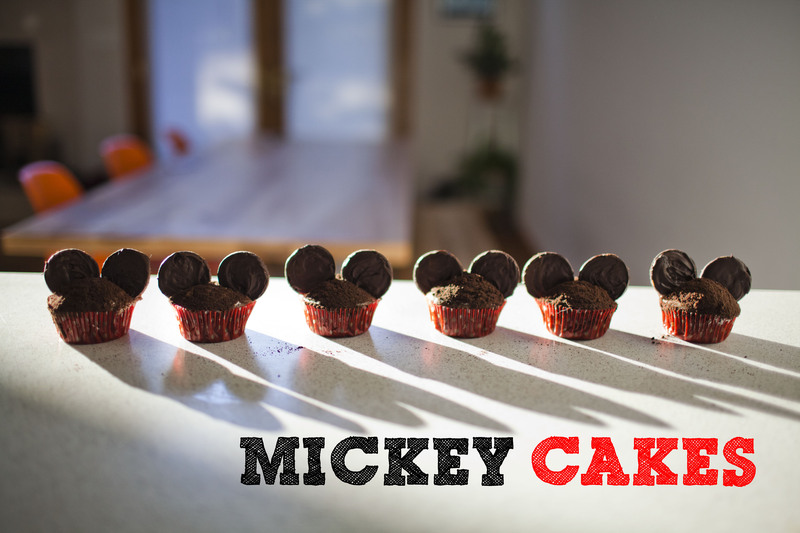 This is definitely my new go-to dessert! The ladies at book club loved it! Preheat oven to 375°. Grease a 9″x13″ baking pan. Sprinkle 2 tablespoons of flour over chocolate chips in a bowl and toss until coated. Set aside. Heat 1 & 1/4 cups water to boiling. Place the oats and earth balance in a large bowl. Pour boiling water over oat mixture. Wait 30 seconds, then stir to moisten oats and melt the butter. Set aside for 25-30 minutes. Whisk “eggs”, sugars, salt, baking soda, baking powder, and cinnamon. Fold in oatmeal, stirring until well combined. Fold in remaining flour, and then stir in chocolate chips. Pour batter into prepared pan. Bake 30 minutes until a toothpick inserted in the center of the cake comes out clean. Cool on wire rack for 30 minutes. Beat earth balance until smooth. Add tofuffti cream cheese and beat until combined. Beat in confectioners’ sugar and vanilla extract until smooth (about 1 minute). Cover bowl and refrigerate for at least 30 minutes.